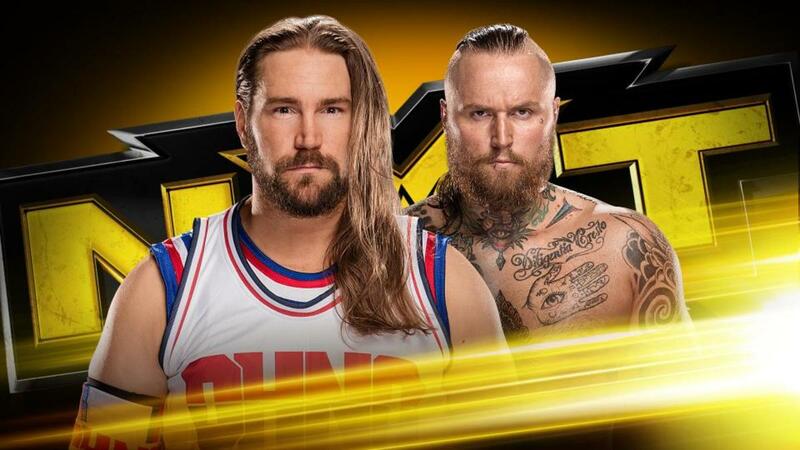 The Big News: Aleister Black pinned Kassius Ohno in a hard-hitting main event. The Medium News: In two weeks, on NXT's 400th episode, Roderick Strong will go for the gold as he challenges the "Glorious" NXT Champion Bobby Roode. The Little Beaver-sized News: Ember Moon returned to the ring against Peyton Royce. Moon was “forced” to watch TakeOver: Chicago, which she missed after she injured herself taking a bump on a suicide dive to the floor a few weeks earlier. This was her return from that. This matchup kind of continues the feud between Moon and the Iconic Duo that got dropped back in March. They had begun a storyline to ban The Eclipse after Billie Kay was injured, but they never followed up on it. Royce “played possum” and “did her homework” and did a thousand other cliches to stop Moon from squashing her. Ultimately, she distracted the referee just long enough to let Kay interfere on her behalf. Royce worked on her shoulder through the commercial break. Moon made her comeback and went for The Eclipse, but Kay had seen enough and tried to drag Royce away. Moon did a dive off the top rope to the floor on Kay, which gave Royce another spurt of offense that culminated in a Widow's Peak, which got her a two count. Moon sent Royce face-first into the middle turnbuckle and won after The Eclipse. Kassius Ohno was stretching backstage when Hideo Itami came up and apologized for being a jerk. Ohno said he completely understood why Itami was frustrated and said they need to do things the right way. Itami agreed. The Ealy Brothers are back. They both got destroyed by Samoa Joe in their first appearance and the second time saw them lose to The Authors of Pain. Can they turn things around tonight as they go two-on-two with SAnitY? The answer was no. EY and Wolfe did that annoying thing where they tag in and out constantly for 30 or 40 seconds, with SAnitY later picking up the win in a boring match with an assisted neckbreaker. They aired a recap of the Asuka-Nikki Cross match from last week, which technically ended Asuka's winning streak since she didn't actually win the match. Anyway, this leads to Asuka vs. Cross in a last woman standing match for the NXT Women's Championship next week. A Sonya Deville highlight package aired. At least they aren't pretending she is brand new, as they showed highlights of her prior matches, dating back almost a year. Resistance by Powerflo is the official theme song of NXT. Personally, I think it sounds like a rejected theme for The Ultimate Fighter, but that's just me. If we can be serious for just a minute, Evers returned to be the first official victim to the MMA badass, Sonya Deville. Deville got in the ring and ran around it like she entered the Octagon. She allegedly has a 3-1 record in MMA. Not mentioned was her 0-27 record on TV so far. Deville got a two count off of a double leg takedown. It helps that Evers appeared to slam her head on the mat on her way down. Evers made a comeback, so Deville took offense, took off her gloves, and won with a double wristlock submission. Bobby Roode was having pictures taken of him earlier today when Roderick Strong arrived at the arena with his wife and son. Roode taunted him and told Marina Shafir to be with a real man, so it broke down into a huge fight. Roode was so mad that he gave Strong a title shot “any time, anywhere.” So in two weeks, on the 400th episode of NXT, it will be Roode vs Strong for the NXT title. Ohno was wearing gear inspired after my Chicago Bulls. Specifically, it was inspired by the late-80s Bulls jerseys, which were amazing in their simplicity. This was the only match all night that had any reaction. Honestly, the crowd did not react to much this entire taping. Even the women's match last week they didn't really care until after the match was thrown out. The match started with grappling and neither man getting the advantage. Finally, Ohno backed him into the corner and delivered a hard chop. Black kicked him in the ribs and the fight was on! Ohno tried rolling out of the ring to slow Black down, but when he rolled back in he found himself being kicked in every available inch of his body. Ohno bounced off the ropes with a forearm to stop Black's momentum as we went to commercial long enough to plug the WWE Network. Back from commercial, Ohno was bruising Black with strikes and crushed him with a running senton. Ohno mocked his foe by meditating mid-match, so Black kicked his back out of his back. They kicked each other in the face quite a bit. If you enjoy watching two men kick each other, this is the match for you. The finish saw Ohno make his final flurry of offense and wind up with the rolling elbow, but Black took his head off with a Black Mass when he turned around, giving Black the win. So that does it for this week. Thank you all so much for reading, and we'll see you next week for episode 399!